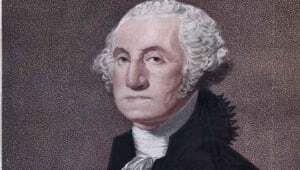 George Washington could trace his family&apos;s presence in North America to his great-grandfather, John Washington, who migrated from England to Virginia. The family held some distinction in England and was granted land by Henry VIII. Much of the family’s wealth was lost during the Puritan revolution and in 1657 George’s grandfather, Lawrence Washington, migrated to Virginia. 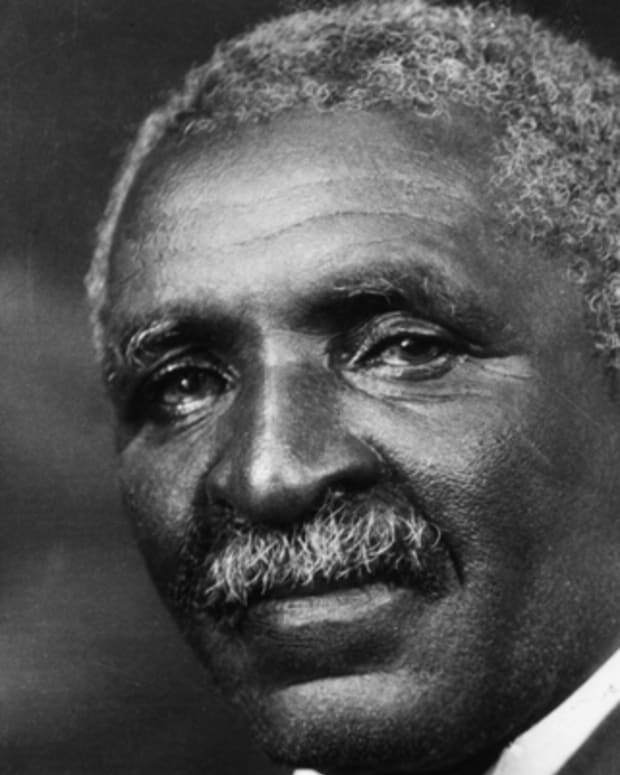 Little information is available about the family in North America until George’s father, Augustine, was born in 1694. 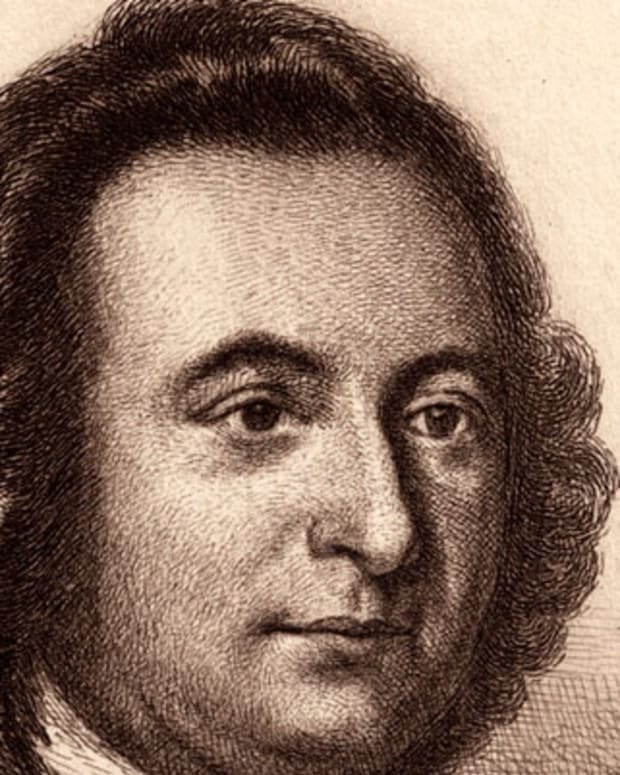 Augustine Washington was an ambitious man who acquired land and slaves, built mills, and grew tobacco. For a time, he had an interest in opening iron mines. He married his first wife, Jane Butler and they had three children. Jane died in 1729 and Augustine married Mary Ball in 1731. George was the eldest of Augustine and Mary’s six children, all of which survived into adulthood. The family lived on Pope&apos;s Creek in Westmoreland County, Virginia. They were moderately prosperous members of Virginia&apos;s "middling class." Augustine moved the family up the Potomac River to another Washington family home, Little Hunting Creek Plantation - later renamed Mount Vernon - in 1735. They moved again in 1738 to Ferry Farm on the Rappahannock River, opposite Fredericksburg, Virginia, where George Washington spent much of his youth. Little is known about George Washington&apos;s childhood, which fostered many of the fables later biographers manufactured to fill in the gap. Among these are the stories that Washington threw a silver dollar across the Potomac and after chopping down his father&apos;s prize cherry tree, he openly confessed to the crime. 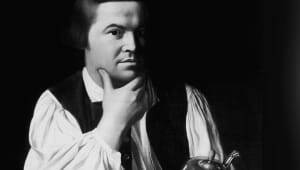 It is known that from age seven to fifteen, George was home-schooled and studied with the local church sexton and later a schoolmaster in practical math, geography, Latin and the English classics. But much of the knowledge he would use the rest of his life was through his acquaintance with backwoodsmen and the plantation foreman. By his early teens, he had mastered growing tobacco, stock raising and surveying. George Washington’s father died when he was 11 and he became the ward of his half-brother, Lawrence, who gave him a good upbringing. Lawrence had inherited the family&apos;s Little Hunting Creek Plantation and married Anne Fairfax, the daughter of Colonel William Fairfax, patriarch of the well-to-do Fairfax family. Under her tutelge, George was schooled in the finer aspects of colonial culture. In July 1752, George Washington&apos;s brother, Lawrence, died of tuberculosis making him the heir apparent of the Washington lands. Lawrence’s only child, Sarah, died two months later and Washington became the head of one of Virginia&apos;s most prominent estates, Mount Vernon. He was 20 years old. Throughout his life, he would hold farming as one of the most honorable professions and he was most proud of Mount Vernon. He would gradually increase his landholdings there to about 8,000 acres. In the early 1750s, France and Britain were at peace. 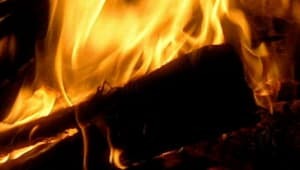 However, the French military had begun occupying much of the Ohio Valley, protecting the King&apos;s land interests and fur trappers and French settlers. But the border lands of this area were unclear and prone to dispute between the two countries. Washington showed early signs of natural leadership and shortly after Lawrence&apos;s death, Virginia&apos;s Lieutenant Governor, Robert Dinwiddie, appointed Washington adjutant with a rank of major in the Virginia militia. On October 31, 1753, Dinwiddie sent Washington to Fort LeBoeuf, at what is now Waterford, Pennsylvania, to warn the French to remove themselves from land claimed by Britain. The French politely refused and Washington made a hasty ride back to Williamsburg, Virginia&apos;s colonial capital. Dinwiddie sent Washington back with troops and they set up a post at Great Meadows. Washington&apos;s small force attacked a French post at Fort Duquesne, killing the commander, Coulon de Jumonville, and nine others and taking the rest prisoners. The French and Indian War had begun. The French counterattacked and drove Washington and his men back to his post at Great Meadows (later named "Fort Necessity.") After a full day siege, Washington surrendered and was soon released and returned to Williamsburg, promising not to build another fort on the Ohio River. Though a little embarrassed at being captured, he was grateful to receive the thanks from the House of Burgesses and see his name mentioned in the London gazettes. Washington was given the honorary rank of colonel and joined British General Edward Braddock&apos;s army in Virginia in 1755. The British had devised a plan for a three-prong assault on French forces attacking Fort Duquesne, Fort Niagara and Crown Point. During the encounter, the French and their Indian allies ambushed Braddock, who was mortally wounded. Washington escaped injury with four bullet holes in his cloak and two horses shot out from under him. Though he fought bravely, he could do little to turn back the rout and led the broken army back to safety. In August 1755, Washington was made commander of all Virginia troops at age 23. He was sent to the frontier to patrol and protect nearly 400 miles of border with some 700 ill-disciplined colonial troops and a Virginia colonial legislature unwilling to support him. It was a frustrating assignment. His health failed in the closing months of 1757 and he was sent home with dysentery. In 1758, Washington returned to duty on another expedition to capture Fort Duquesne. A friendly fire incident took place killing 14 and wounding 26 of Washington&apos;s men. However, the British were able to score a major victory, capturing Fort Duquesne and control the Ohio Valley. Washington retired from his Virginia regiment in December 1758. His experience during the war was generally frustrating, with decisions made excessively slow, poor support from the colonial legislature, and poorly trained recruits. 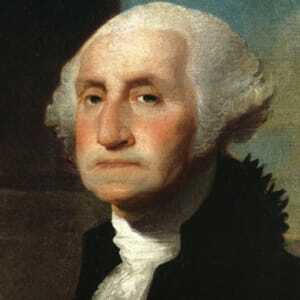 Washington applied for a commission with the British Army but was turned down. In December 1758, he resigned his commission and returned to Mount Vernon disillusioned. A month after leaving the army, Washington married Martha Dandridge Custis, a widow, who was only a few months older than he. Martha brought to the marriage a considerable fortune: an 18,000-acre estate, from which George personally acquired 6,000 acres. With this and land he was granted for his military service, Washington became one of the more wealthy landowners in Virginia. The marriage also brought Martha&apos;s two young children, John (Jacky) and Martha (Patsy), ages six and four, respectively. Washington lavished great affection on both of them, and was heartbroken when Patsy died just before the Revolution. Jacky died during the Revolution, and George adopted two of his children. During his retirement from the Virginia militia until the start of the Revolution, George Washington devoted himself to the care and development of his land holdings, attending the rotation of crops, managing livestock and keeping up with the latest scientific advances. He loved the landed gentry&apos;s life of horseback riding, fox hunts, fishing, and cotillions. He worked six days a week, often taking off his coat and performing manual labor with his workers. He was an innovative and responsible landowner, breeding cattle and horses and tending to his fruit orchards. While George Washington kept over 100 slaves, he was said to dislike the institution, but accepted the fact that slavery was the law. He also entered politics and was elected to Virginia&apos;s House of Burgesses in 1758. Though the British Proclamation Act of 1763 — prohibiting settlement beyond the Alleghenies — irritated him and he opposed the Stamp Act of 1765, Washington did not take a leading role in the growing colonial resistance against the British until the widespread protest of the Townshend Acts in 1767. His letters of this period indicate he was totally opposed to the colonies declaring independence. 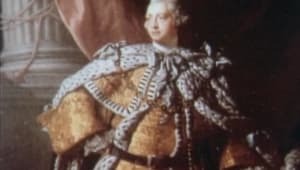 However, by 1767, he wasn&apos;t opposed to resisting what he believed were fundamental violations by the Crown of the rights of Englishmen. In 1769, Washington introduced a resolution to the House of Burgesses calling for Virginia to boycott British goods until the Acts were repealed. 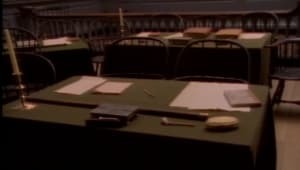 After the passage of the Intolerable Acts in 1774, Washington chaired a meeting in which the Fairfax Resolves were adopted calling for the convening of the Continental Congress and the use of armed resistance as a last resort. He was selected as a delegate to the First Continental Congress in March 1775. After the battles of Lexington and Concord in April 1775, the political dispute between Great Britain and her North American colonies escalated into an armed conflict. In May, Washington traveled to the Second Continental Congress in Philadelphia dressed in a military uniform, indicating that he was prepared for war. 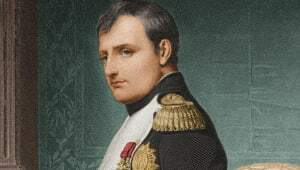 On June 15th, he was appointed Major General and Commander-in-Chief of the colonial forces against Great Britain. As was his custom, he did not seek out the office of commander, but he faced no serious competition. Washington was the best choice for a number of reasons: he had the prestige, military experience and charisma for the job and he had been advising Congress for months. Another factor was political. The Revolution had started in New England and at the time, they were the only colonies that had directly felt the brunt of British tyranny. Virginia was the largest British colony and deserved recognition and New England needed Southern support. 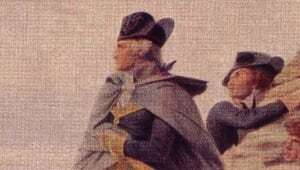 Political considerations and force of personality aside, George Washington was not necessarily qualified to wage war on the world&apos;s most powerful nation. Washington&apos;s training and experience were primarily in frontier warfare involving small numbers of soldiers. He wasn&apos;t trained in the open-field style of battle practiced by the commanding British generals. He had no practical experience maneuvering large formations of infantry, commanding cavalry or artillery, or maintaining the flow of supplies for thousands of men in the field. But he was courageous and determined and smart enough to keep one step ahead of the enemy. Washington and his small army did taste victory early in March 1776 by placing artillery above Boston, on Dorchester Heights, forcing the British to withdraw. Washington then moved his troops into New York City. But in June, a new British commander, Sir William Howe, arrived in the Colonies with the largest expeditionary force Britain had ever deployed to date. In August 1776, the British army launched an attack and quickly took New York City in the largest battle of the war. Washington&apos;s army was routed and suffered the surrender of 2,800 men. He ordered the remains of his army to retreat across the Delaware River into Pennsylvania. Confident the war would be over in a few months, General Howe wintered his troops at Trenton and Princeton, leaving Washington free to attack at the time and place of his choosing. On Christmas night, 1776, Washington and his men crossed the Delaware River and attacked unsuspecting Hessian mercenaries at Trenton, forcing their surrender. 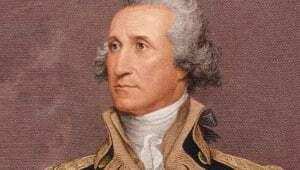 A few days later, evading a force that had been sent to destroy his army, Washington attacked the British again, this time at Princeton, dealing them a humiliating loss. General Howe&apos;s strategy was to capture colonial cities and stop the rebellion at key economic and political centers. He never abandoned the belief that once the Americans were deprived of their major cities, the rebellion would wither. In the summer of 1777, he mounted an offensive against Philadelphia. George Washington moved in his army to defend the city and was defeated at the Battle of Brandywine. Philadelphia fell two weeks later. In the late summer of 1777, the British army sent a major force, under the command of John Burgoyne, south from Quebec to Saratoga, New York, to split off the rebellion in New England. But the strategy backfired, as Burgoyne became trapped by the American armies led by Horatio Gates and Benedict Arnold at the Battle of Saratoga. Without support from Howe, who couldn&apos;t reach him in time, he was forced to surrender his entire 6,200 man army. The victory was a major turning point in the war as it encouraged France to openly ally itself with the American cause for independence. Through all of this, Washington discovered an important lesson: The political nature of war was just as important as the military one. Washington began to understand that military victories were not as important as keeping the resistance alive. Americans began to believe that they could meet their objective of independence without defeating the British army. On the other hand, British General Howe clung to the strategy of capturing colonial cities in hopes of smothering the rebellion. 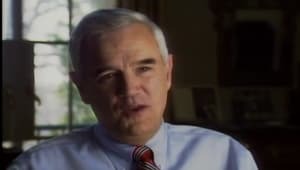 He didn&apos;t realize that capturing cities like Philadelphia and New York would not unseat colonial power. The Congress would just pack up and meet elsewhere. The darkest time for Washington and the Continental Army was during the winter of 1777 at Valley Forge, Pennsylvania. The 11,000-man force went into winter quarters and over the next six months suffered thousands of deaths, mostly from disease. But the army emerged from the winter still intact and in relatively good order. Realizing their strategy of capturing colonial cities had failed, the British command replaced General Howe with Sir Henry Clinton. The British army evacuated Philadelphia to return to New York City. Washington and his men delivered several quick blows to the moving army, attacking the British flank near Monmouth Courthouse. Though a tactical standoff, the encounter proved Washington&apos;s army capable of open field battle. For the remainder of the war, George Washington was content to keep the British confined to New York, although he never totally abandoned the idea of retaking the city. The alliance with France had brought a large French army and a navy fleet. Washington and his French counterparts decided to let Clinton be and attack British General Charles Cornwallis at Yorktown, Virginia. Facing the combined French and Colonial armies and the French fleet of 29 warships at his back, Cornwallis held out as long as he could, but on October 19, 1781, he surrendered his forces. George Washington had no way of knowing the Yorktown victory would bring the war to a close. The British still had 26,000 troops occupying New York City, Charleston, and Savannah and a large fleet of warships in the Colonies. 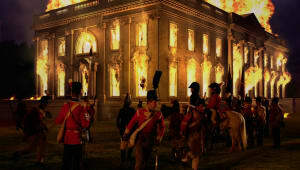 By 1782, the French army and navy had departed, the Continental treasury was depleted, and most of his soldiers hadn’t been paid for several years. A near mutiny was avoided when Washington convinced Congress to grant a five-year bonus for soldiers in March 1783. By November of that year, the British had evacuated New York City and other cities and the war was essentially over. The Americans had won their independence. Washington formally bade his troops farewell and on December 23, 1783, he resigned his commission as commander-in-chief of the army and returned to Mount Vernon. 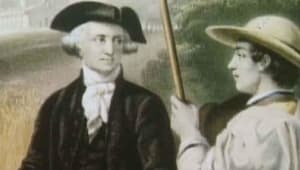 For four years, George Washington attempted to fulfill his dream of resuming life as a gentleman farmer and to give his much-neglected plantation the care and attention it deserved. The war had been costly to the Washington family with lands neglected, no exports of goods, and the depreciation of paper money. 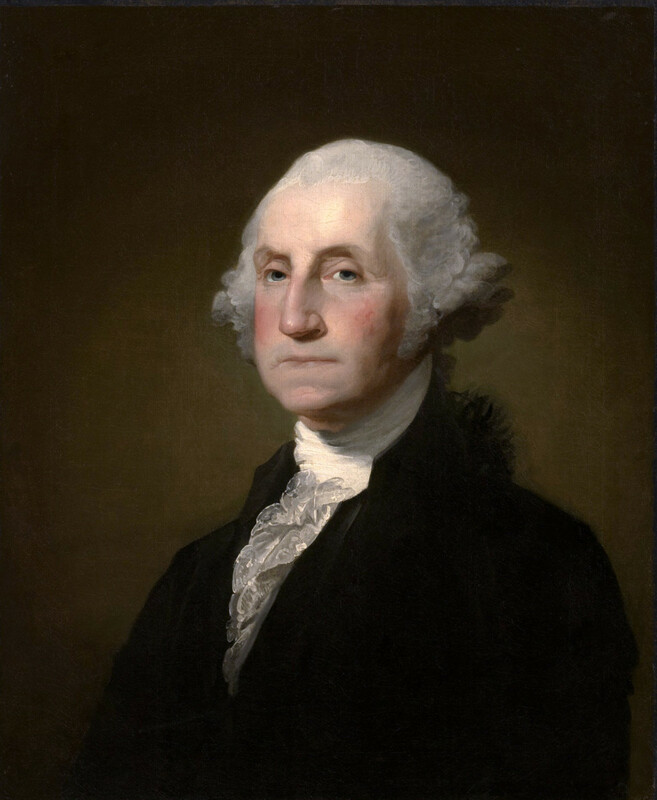 But Washington was able to repair his fortunes with a generous land grant from Congress for his military service and become profitable once again. In 1787, Washington was again called to the duty of his country. Since independence, the young republic had been struggling under the Articles of Confederation, a structure of government that centered power with the states. But the states were not unified. They fought among themselves over boundaries and navigation rights and refused to contribute to paying off the nation&apos;s war debt. In some instances, state legislatures imposed tyrannical tax policies on their own citizens. Washington was intensely dismayed at the state of affairs, but only slowly came to the realization that something should be done about it. Perhaps he wasn&apos;t sure the time was right so soon after the Revolution to be making major adjustments to the democratic experiment. Or perhaps because he hoped he would not be called upon to serve, he remained noncommittal. But when Shays&apos; rebellion erupted in Massachusetts, Washington knew something needed to be done to improve the nation’s government. In 1786, Congress approved a convention to be held in Philadelphia to amend the Articles of Confederation. At the Constitutional Convention, Washington was unanimously chosen as president. 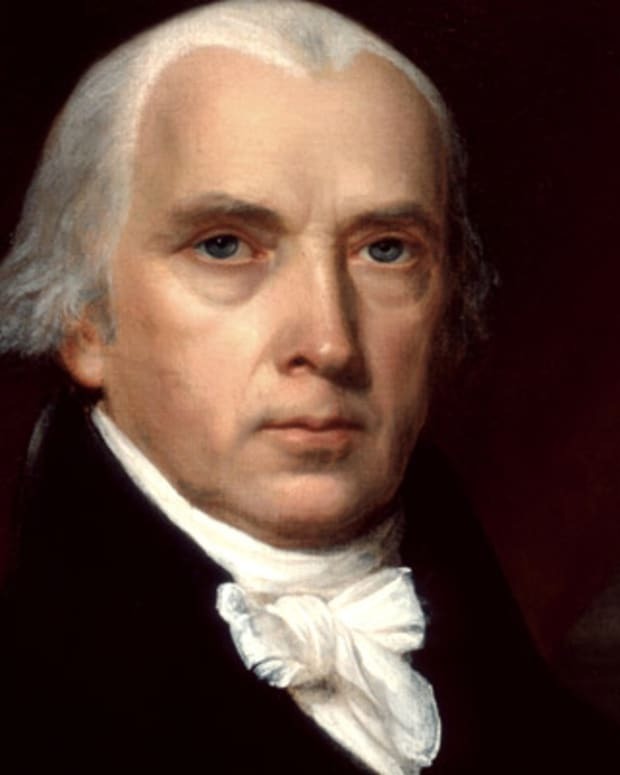 Among others, such as James Madison and Alexander Hamilton, Washington had come to the conclusion that it wasn&apos;t amendments that were needed, but a new constitution that would give the national government more authority. He spoke but once during the proceedings, but he lobbied hard with his fellow delegates in the after hours for major changes in the structure of government. In the end, the Convention produced a plan for government that not only would address the country&apos;s current problems, but would endure through time. After the convention adjourned, Washington&apos;s reputation and support for the new government were indispensable to the Constitution’s ratification. 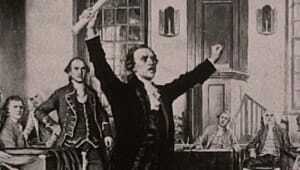 Opposition was strident, if not organized, with many of America&apos;s leading political figures — including Patrick Henry and Sam Adams — condemning the proposed government as a grab for power. Even in Washington&apos;s native Virginia, the Constitution was ratified by only one vote. 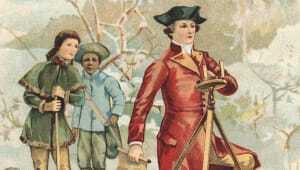 Still hoping to retire to his beloved Mount Vernon, Washington was once again called upon to serve this country. 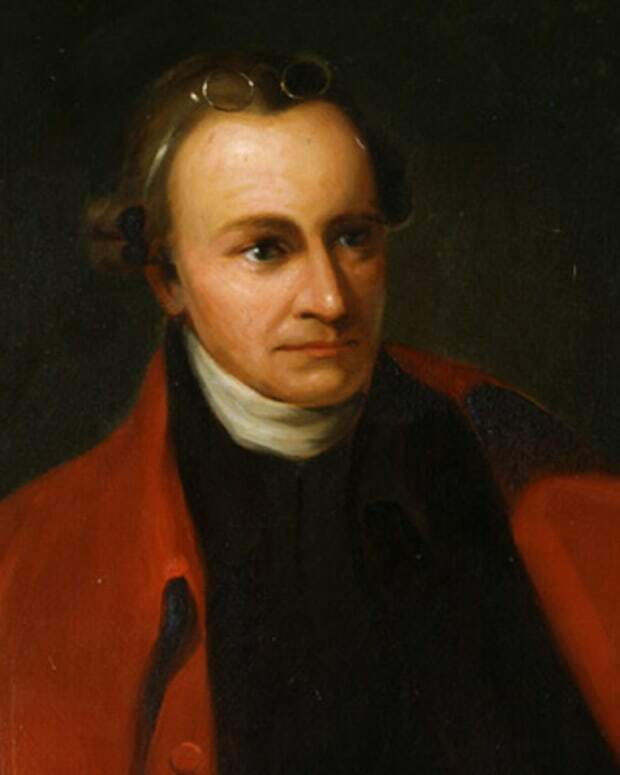 During the presidential election of 1789, he received a vote from every elector to the Electoral College, the only president in American history to be elected by unanimous approval. 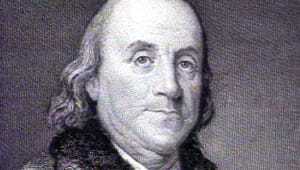 He took the oath of office at Federal Hall in New York City, the capital of the United States at the time. As the first president, Washington was astutely aware that his presidency would set a precedent for all that would follow. He carefully attended to the responsibilities and duties of his office, remaining vigilant to not emulate any European royal court. To that end, he preferred the title "Mr. President," instead of more imposing names that were suggested. At first he declined the $25,000 salary Congress offered the office of the presidency, for he was already wealthy and wanted to protect his image as a selfless public servant. However, Congress persuaded him to accept the compensation to avoid giving the impression that only wealthy men could serve as president. George Washington proved to be an able administrator. 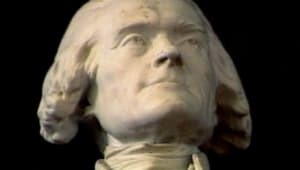 He surrounded himself with some of the most capable people in the country, appointing Alexander Hamilton as Secretary of the Treasury and Thomas Jefferson as Secretary of State. He delegated authority wisely and consulted regularly with his cabinet listening to their advice before making a decision. Washington established broad-ranging presidential authority, but always with the highest integrity, exercising power with restraint and honesty. In doing so, he set a standard rarely met by his successors, but one that established an ideal by which all are judged. During his first term, Washington adopted a series of measures proposed by Treasury Secretary Hamilton to reduce the nation&apos;s debt and place its finances on sound footing. 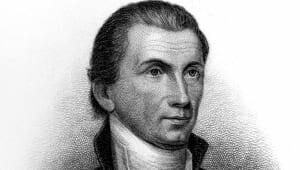 His administration established several peace treaties with Native American tribes and approved a bill establishing the nation&apos;s capital in a permanent district along the Potomac River. In 1791, Washington signed a bill authorizing Congress to place a tax on distilled spirits, which stirred protests in rural areas of Pennsylvania. Quickly, the protests turned into a full-scale defiance of federal law known as the Whiskey Rebellion. Washington invoked the Militia Act of 1792, summoning local militias from several states to put down the rebellion. 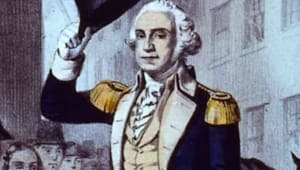 Washington personally took command, marching the troops into the areas of rebellion and demonstrating that the federal government would use force, when necessary, to enforce the law. In foreign affairs, Washington took a cautious approach, realizing that the weak, young nation could not succumb to Europe&apos;s political intrigues. In 1793, France and Great Britain were once again at war. At the urging of Alexander Hamilton, Washington disregarded the U.S. alliance with France and pursued a course of neutrality. In 1794, he sent John Jay to Britain to negotiate a treaty (known as the "Jay Treaty") to secure a peace with Britain and clear up some issues held over from the Revolutionary War. 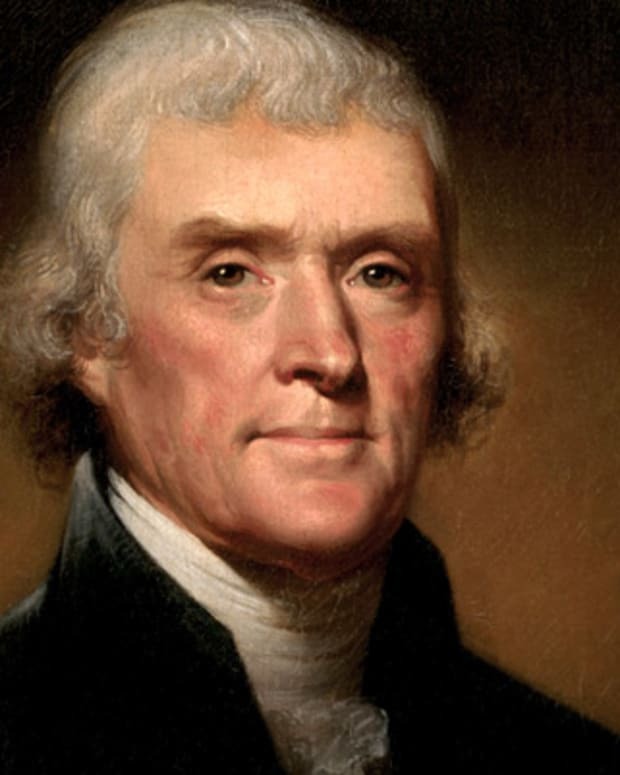 The action infuriated Thomas Jefferson, who supported the French and felt that the U.S. needed to honor its treaty obligations. Washington was able to mobilize public support for the treaty, which proved decisive in securing ratification in the Senate. Though controversial, the treaty proved beneficial to the United States by removing British forts along the western frontier, establishing a clear boundary between Canada and the United States, and most importantly, delaying a war with Britain and providing over a decade of prosperous trade and development the fledgling country so desperately needed. All through his two terms as president, Washington was dismayed at the growing partisanship within government and the nation. The power bestowed on the federal government by the Constitution made for important decisions, and people joined together to influence those decisions. The formation of political parties at first were influenced more by personality than by issues. As Treasury secretary, Alexander Hamilton pushed for a strong national government and an economy built in industry. 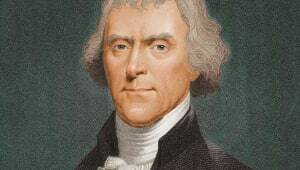 Secretary of State Thomas Jefferson desired to keep government small and center power more at the local level, where citizens&apos; freedom could be better protected. He envisioned an economy based on farming. 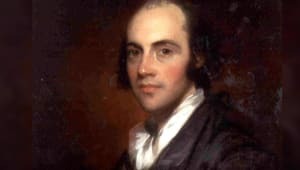 Those who followed Hamilton&apos;s vision took the name Federalists and people who opposed those ideas and tended to lean toward Jefferson’s view began calling themselves Democratic-Republicans. Washington despised political partisanship, believing that ideological differences should never become institutionalized. He strongly felt that political leaders should be free to debate important issues without being bound by party loyalty. However, Washington could do little to slow the development of political parties. The ideals promoted by Hamilton and Jefferson produced a two-party system that proved remarkably durable. These opposing viewpoints represented a continuation of the debate over the proper role of government, a debate that began with the conception of the Constitution and continues today. Washington&apos;s administration was not without its critics who questioned what they saw as extravagant conventions in the office of the president. During his two terms, Washington rented the best houses available and was driven in a coach drawn by four horses, with outriders and lackeys in rich uniforms. 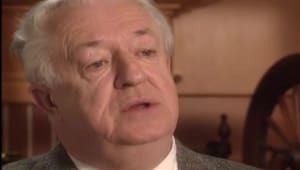 After being overwhelmed by callers, he announced that except for the scheduled weekly reception open to all, he would only see people by appointment. Washington entertained lavishly, but in private dinners and receptions at invitation only. He was, by some, accused of conducting himself like a king. However, ever mindful his presidency would set the precedent for those to follow, he was careful to avoid the trappings of a monarchy. At public ceremonies, he did not appear in a military uniform or the monarchical robes. Instead, he dressed in a black velvet suit with gold buckles and powdered hair, as was the common custom. His reserved manner was more due to inherent reticence than any excessive sense of dignity. 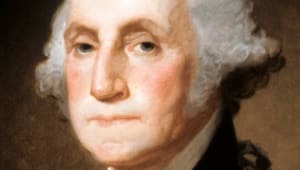 Desiring to return to Mount Vernon and his farming, and feeling the decline of his physical powers with age, Washington refused to yield to the pressures to serve a third term, even though he would probably not have faced any opposition. By doing this, he was again mindful of the precedent of being the "first president," and chose to establish a peaceful transition of government. In the last months of his presidency, Washington felt he needed to give his country one last measure of himself. 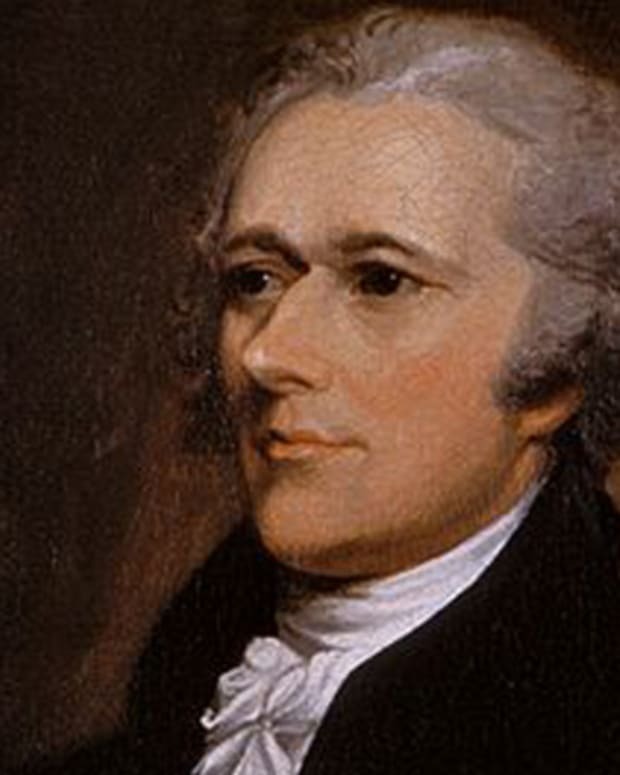 With the help of Alexander Hamilton, he composed his Farewell Address to the American people, which urged his fellow citizens to cherish the Union and avoid partisanship and permanent foreign alliances. 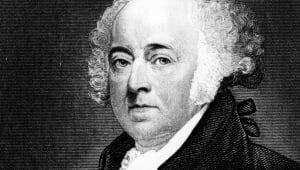 In March 1797, he turned over the government to John Adams and returned to Mount Vernon, determined to live his last years as a simple gentleman farmer. His last official act was to pardon the participants in the Whiskey Rebellion. Upon returning to Mount Vernon in the spring of 1797, Washington felt a reflective sense of relief and accomplishment. He had left the government in capable hands, at peace, its debts well-managed, and set on a course of prosperity. He devoted much of his time to tending the farm&apos;s operations and management. Although he was perceived to be wealthy, his land holdings were only marginally profitable. On a cold December day in 1799, Washington spent much of it inspecting the farm on horseback in a driving snowstorm. When he returned home, he hastily ate his supper in his wet clothes and then went to bed. The next morning, on December 13, he awoke with a severe sore throat and became increasingly hoarse. He retired early, but awoke around 3 a.m. and told Martha that he felt sick. The illness progressed until he died late in the evening of December 14, 1799. The news of his death spread throughout the country, plunging the nation into a deep mourning. Many towns and cities held mock funerals and presented hundreds of eulogies to honor their fallen hero. When the news of this death reached Europe, the British fleet paid tribute to his memory, and Napoleon ordered ten days of mourning. Washington could have been a king. Instead, he chose to be a citizen. 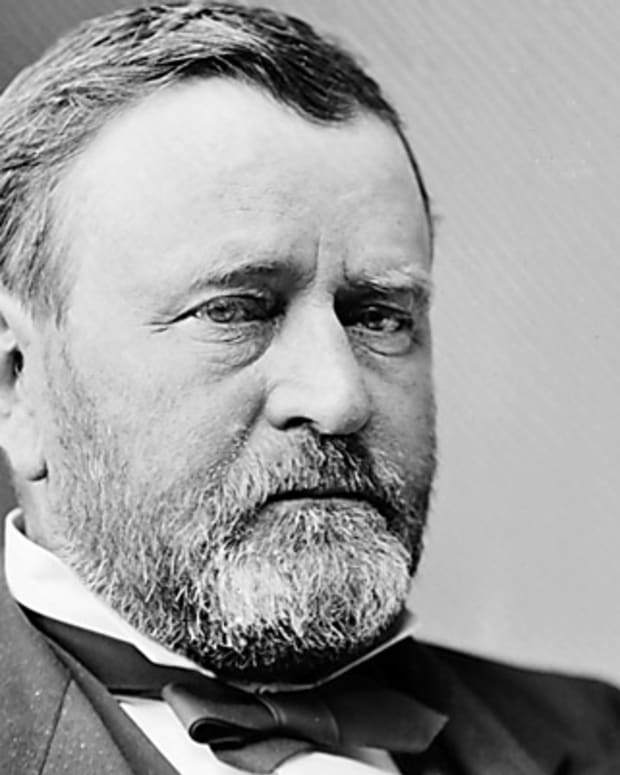 He set many precedents for the national government and the presidency: The two-term limit in office, only broken once by Franklin D. Roosevelt, was later ensconced in the Constitution&apos;s 22nd Amendment. He crystallized the power of the presidency as a part of the government’s three branches, able to exercise authority when necessary, but also accept the balance of power inherent in the system. 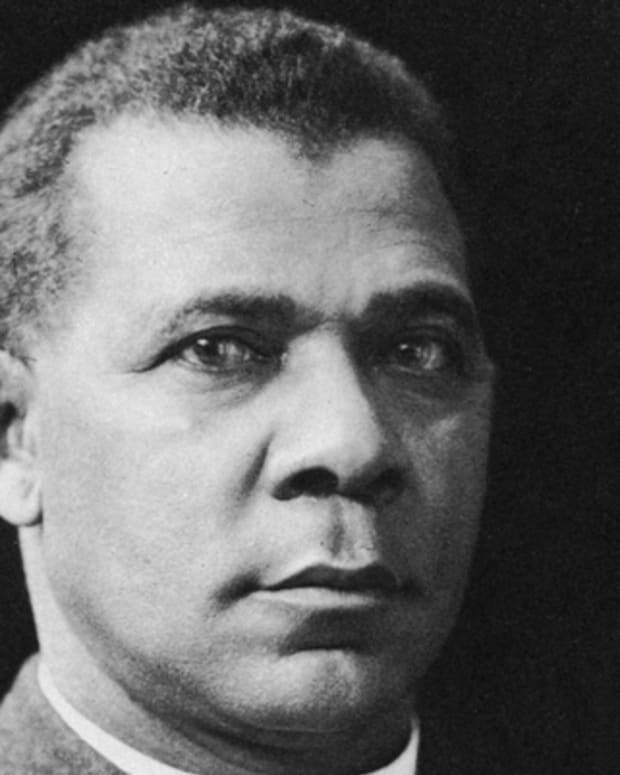 He was not only considered a military and revolutionary hero, but a man of great personal integrity, with a deep sense of duty, honor and patriotism. For over 200 years, Washington has been acclaimed as indispensable to the success of the Revolution and the birth of the nation. But his most important legacy may be that he insisted he was dispensable, asserting that the cause of liberty was larger than any single individual. 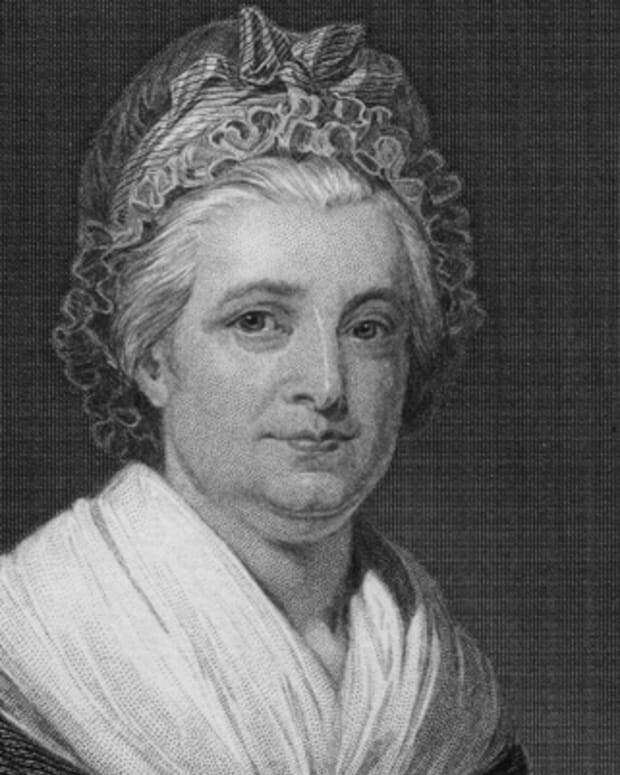 Martha Washington was the wife of President George Washington and thus the original first lady of the United States.